«Pirates of the Caribbean» media franchise (2003-2017): Can a bandit and a scoundrel be a nice guy? «Pirates of the Caribbean’ are series of films produced by «Walt Disney Pictures» in collaboration with «Jerry Bruckheimer Films». They consist of five episodes one of which is expected to be showing in the cinemas in 2017. To start with, let’s discuss the main characters. 1. 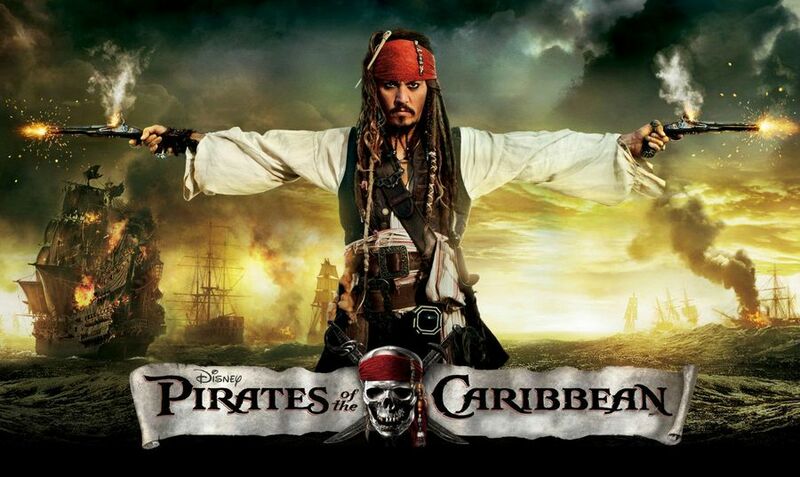 The protagonist of the series is a pirate Jack Sparrow (Johnny Depp). We all know pirates to be sea robbers who are against the law and make their lives pillaging and doing various obscene things. Creators of the series show Jack Sparrow as a positive character though. Isn’t it obvious that a positive character (a role model for audience) should possess some educational traits, such as nobleness, or, at least, reform during the movie? However, everything here is the other way round. Meanness, egoism, selfishness, cowardice, weakness for alcohol, etc. are characteristic for Jack Sparrow. And not only has he showed them in every episode of the series, but also these traits always help Jack to come out dry. 2. 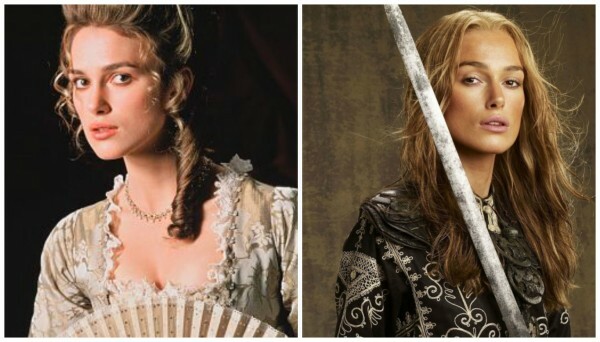 Elizabeth Swann (Keira Knightley) is a daughter of a governor and she is fond of pirates from the very childhood. At first, we see her as an intelligent, well-mannered girl, but she is changing for the worse during the series. At the beginning of the third episode (Pirates of the Caribbean: At World’s End) she has already become a thorough female pirate who is now ready for everything to achieve her goals. 3. 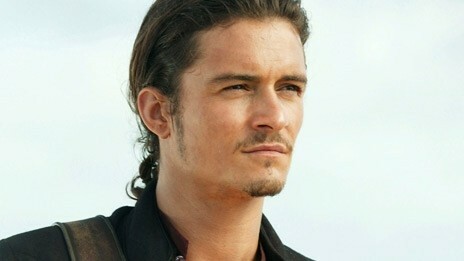 Will Turner (Orlando Bloom) is a son of a pirate. As a child he was found in the wreckage of pirate ship. Elizabeth took off his pirate locket bewaring lest adults guessed who Will was. From that time he has been growing up a fair and honest guy enamored of Elizabeth who loves him back. One day ghost pirates capture Elizabeth, so to release her Will asks Jack Sparrow for help. And after the adventures they take together Will comes to like piracy and joins Jack’s crew. From this time he begins to act against his conscience and achieves aims by deception and meanness. During the series Will Turner loses his honesty even more. In the third episode to rescue his father he makes an agreement with foes and betrays his friends. As a result, Jack’s crew is captured. And each time doing something foul and base Will uses noble intentions as a cover. This is the principle Hollywood thrust us through these series – «The end justifies the means». 4. 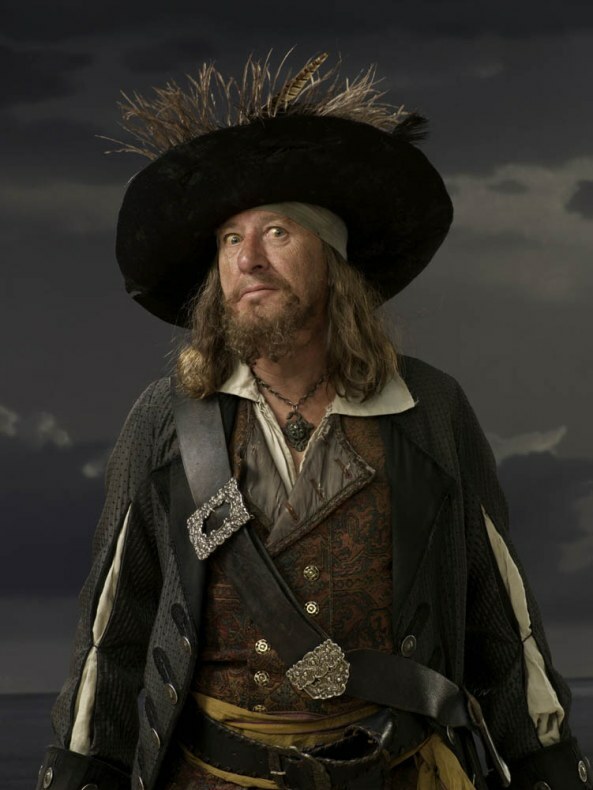 Captain Hector Barbossa (Geoffrey Rush) is a pirate who becomes a captain after raising a mutiny on Jack Sparrow’s ship. His personal traits are meanness, egoism, selfishness, greed, etc. Being a villain in the first episode, he gets positive character in the next three series though, which is a bright example of mixing the good and the evil in the franchise. Creators of various films and cartoons released in recent years make many efforts mixing the good and the evil so that both adults and children think that all good is bad and vice versa. And «Pirates of the Caribbean» is a nice example of it. In the series the good is accomplished by mean pirates who are worried only about themselves constantly betraying each other. Besides, all their betrayals have no bad influence on their friendship. What about the evil, in the series it is represented either by even worse and bloodthirsty pirates (there are not many of them though – just one character in each episode), or by soldiers serving their Motherland faithfully. 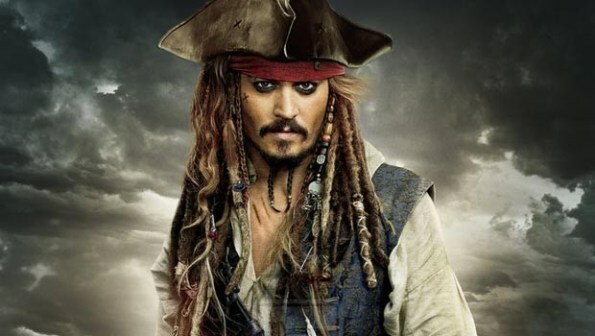 To tell the truth, at the end of each episode the protagonist Jack Sparrow makes something good according to his conscience and against mean principles. At first sight it seems nice, although it is not that simple. It is studiously shown in the series that each time Jack does something good and honest it turns him out badly – as if the boomerang principle doesn’t exist at all. Results of Jack’s good actions are evil and this fact forms comprehension in viewers’ minds that any good actions are bad, because they can lead to problems and misfortune only. Let’s take a look at several examples. At the end of the first episode it turns out that captain Jack Sparrow is not indifferent to Will’s and Elizabeth’s fate, so he helps them return home. As a result, he is sentenced to death and other pirates have to rescue him. At the end of the second episode sea monster Kraken attacks the ship with Jack and his crew aboard, so the captain decides to escape in a boat by himself. However, listening to the voice of his conscience Jack returns and rescues the rest of the crew. As all pirates are getting into the boat bewaring Kraken’s next stroke, Elizabeth deceives Jack and puts the handcuffs on his hands saying «Kraken needs neither ship, nor pirates, but you. There is no other way out. I’m not ashamed». «A pirate you are!» Jack answers. During the whole third episode Jack Sparrow is dreaming of piercing the heart of Davy Jones (Bill Nighy) to become the immortal captain of the Flying Dutchman and furrow the seas eternally. But as Will Turner is fatally wounded, Jack pierces the Jones’ heart saying «Goodbye» to his dream for the sake of Will’s life. A noble deed, isn’t it? But what follows it? Finally, Jack’s crew deceives him once again and captain loses his ship. However, «thanks to» his cunning, meanness and lack of faith in people, Jack has a fragment of a map cut by him in advance, so he knows the way to the fountain of youth. This episode is focused on searching for the fountain of youth. Except Jack, it attracts a pirate Blackbeard, the captain of the Queen Anne’s Revenge. At the end of the episode Blackbeard is fatally injured and ready to sacrifice his daughter’s life to survive. But Jack Sparrow changes two bowls for a ritual and saves girl’s life. She is a positive character in this episode (she served in a monastery and was preparing to take the veil, but Jack who confused monastery with brothel, seduced her). As a result, the Queen Anne’s Revenge goes to captain Barbossa. He deceives Jack at the end of previous episode and now, in this film, revenges on Blackbeard. And once again Jack gets nothing for his pains, except some ships locked in a bottle by a spell. So he is to release them somehow. In the main, all female characters of the series are pirates. They neither bring up children, nor take care of anybody. Like male pirates, they fight, drink, deceive, etc. In fact, both man and woman have their own exact skills and abilities which are not the same. «She gives birth, takes care of her family, fills the world with Beauty and Harmony and inspires new feats. She is a source of goodness and compassion; it’s impossible to comprehend her…» (A quotation from a movie «Secret of Woman’s Nature»). However, in the series we see everything the other way round. There are two types of female characters: the first is represented by female pirates who lie, steal, kill and deceive; women of the second type are just whores. There are no examples of good families in the series. Elizabeth was brought up by her single father; Will finds his father in the second episode, but knows nothing about his mother though. The only positive family image appears after credits at the very end of the third episode when we see Elizabeth holding a baby and waiting for Will to come. There are hardly any scenes showing characters smoking, but concerning drinking the things are far worse. As we all know, pirates (who are main characters here) can’t imagine their lives without rum. So, they drink whenever it is possible. Even if their lives are in peril, they leave alcohol with difficulty. Seeing positive characters constantly drinking rum will make children curious about this beverage, or, at least, any other alcoholic drink (age limit of the series is 12+). scenes with alcohol follow one after the other. And not only drinking does no harm, but makes characters brave, hardy and of great mental capacity. except for some love scenes between Will and Elizabeth, there are very few examples of intimate relationship in the series. However, in all of them we see passion based on a typical sexual instinct and nothing more. In several scenes different characters try to undress Elizabeth. All in all, the series don’t contain anything really sexual, but vulgarity demonstrated by many characters produces negative impression. For example, Jack Sparrow doesn’t have a girlfriend, so he is free to be intimate with different women (even prostitutes) as it is shown in each episode. violent actions appear in many forms. The main characters make no effort to avoid victims and just kill everyone indiscriminately. Enjoy your life; take all you want and give nothing back. If you really want to achieve something, use any means (the end justifies the means). First of all, take care of yourself, as everyone around you is betrayer and scoundrel. Good deeds are not followed by good results and provoke only evil return. Lying, deceiving and betraying are normal for a good person. Alcohol doesn’t have any bad influence on people’s health. Also in the series we can see the next things: mixing conceptions of the good and the evil, feminism propaganda, discrediting of the family image, discrediting of the woman image.